Oh yes, it’s come around so quickly blink and you would have missed the year that was! Eurovision! When the countries across Europe come together for a song contest. And by Europe, I mean Europe, Israel and Australia! Australia is back at Eurovision after last year where Guy Sebastian became the first Australian to perform in the main competition. And he did us proud with a high-placing finish too! This year we have to qualify through the semi-finals, but with Dami Im’s stunning song ‘Sound of Silence’ I am more than confident we will get to Saturday’s final and possibly even a top-three finish. It’s a great song proving very popular with the bookmakers. Why is Australia taking part in a competition so far away? Well, Australians have long loved Eurovision. It rates really well and we have sent our own commentators over to Europe for quite a few years now. There’s something about the bling, the silliness, the bad songs (sometimes the bad is better than the good you know!) that captured Australian’s hearts long ago now. Eurovision parties are common in Australia and this year they are evening playing the final in cinemas around the country. With such enthusiasm for the show, I guess the organisers decided to include Australia. First, with the song above in the ‘half-time’ entertainment with the incredibly talented Jessica Mauboy, three years ago, following with two legit entries last year and this year. Where will we finish this year? Only time with tell! 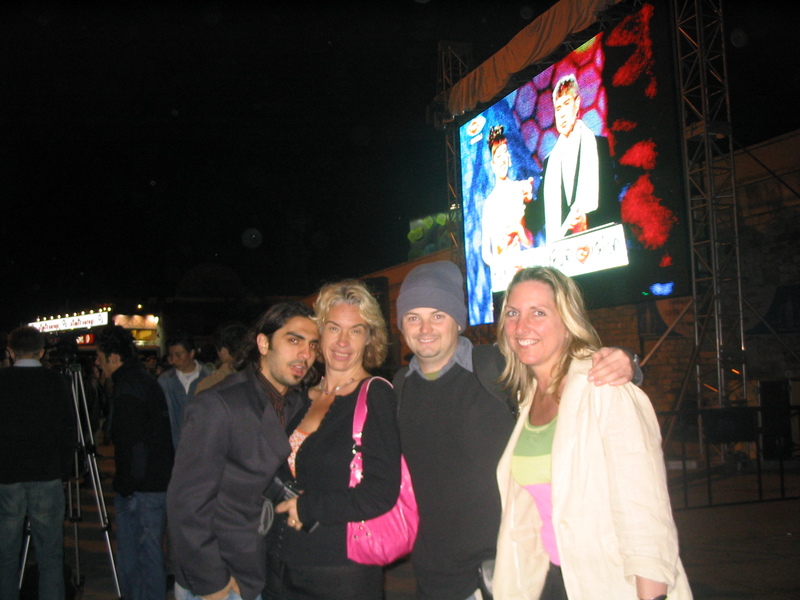 2004 at Taksim Square whilst Eurovision plays on the big screen. well the winner probably wasnt the best song. which happens pretty frequently. thanks for reading! I really liked Dami’s song, and I think the quality of it was reflected in its final standing. Ukraine’s song – I get it, I didn’t mind it, but I wasn’t so sure it deserved to win. No. Didnt deserve to win, I agree. not one I want to listen to again. But, Eurovision has ALWAYS been political.